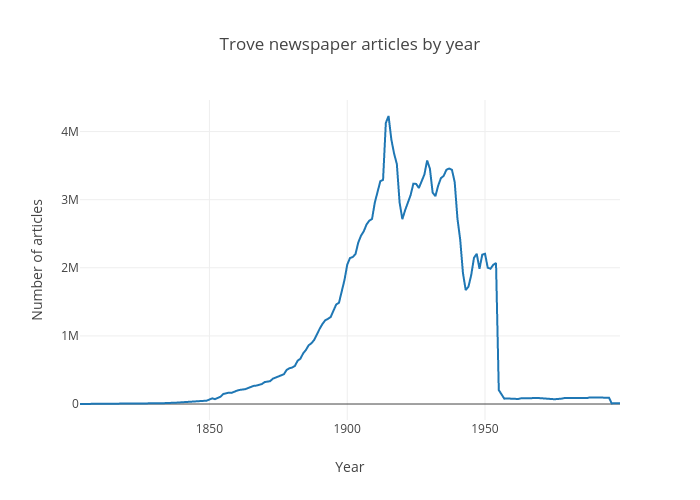 Wragge's interactive graph and data of "Trove newspaper articles by year" is a scatter chart, showing y; with Year in the x-axis and Number of articles in the y-axis.. The x-axis shows values from 1803 to 1999. The y-axis shows values from -234766.8333333334 to 4463249.833333333.